Once a group has been created, the maintainer can add further details and group behaviour via the Settings tab. See the Group Creation Help for details on creating groups. The General tab contains fields that manage appearance your group which already covered in the Group Creation Help. This button is used to set a group to read-only, which prevents the group being visible to users. This can be toggled using the same button, as desired. To search for available languages, enter text into the field under "Add a language". Available languages matching the entered text will display in a dropdown. 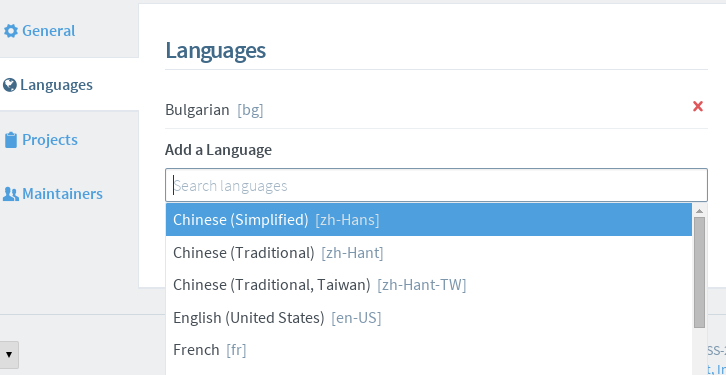 To add a language to your project, select the desired language from the dropdown. To search for available project version, enter text into the field under "Add a Project". Matching project versions will be displayed in a dropdown. 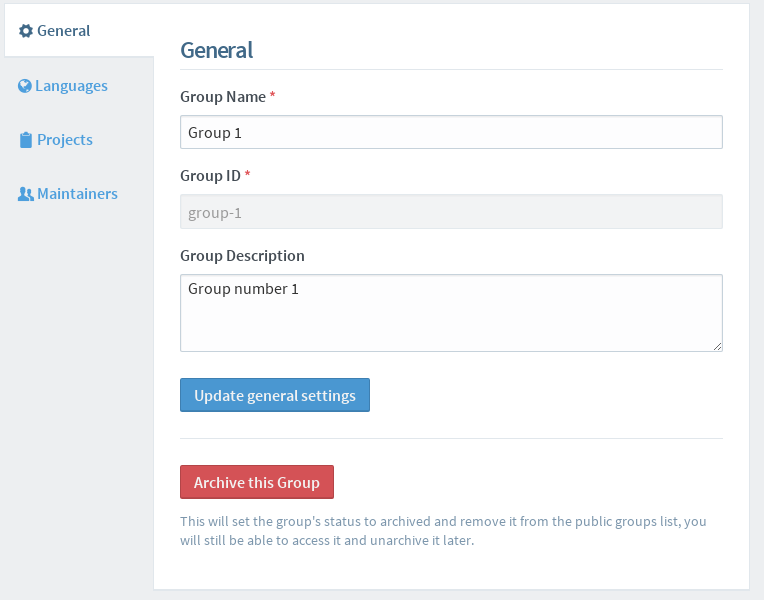 To add a version to your group, select the desired project version from the dropdown. To remove a project version from the list, first move the cursor over the project version, then click the "X" that appears.